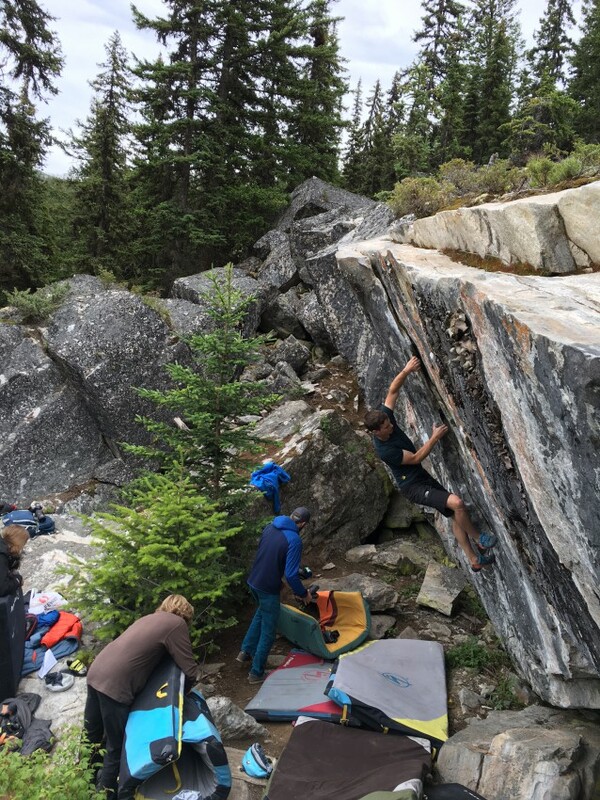 On June 18-19, the Okanagan Bouldering Society hosted an outdoor festival and competition at the Boulderfields climbing area just south of Kelowna, BC. 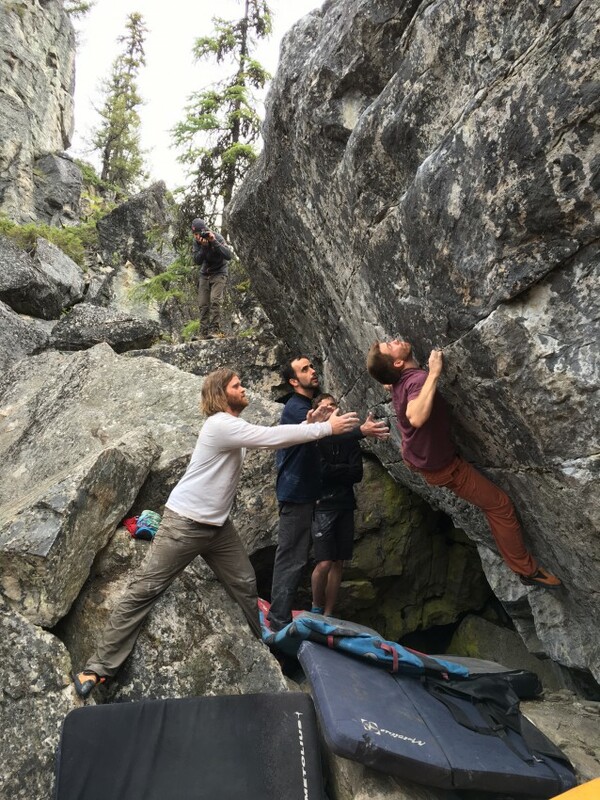 Currently in it’s 4th year, and with great recommendations from past attendees, myself and 15 or so CCC climbers made the journey to Kelowna to check out this climbing event. 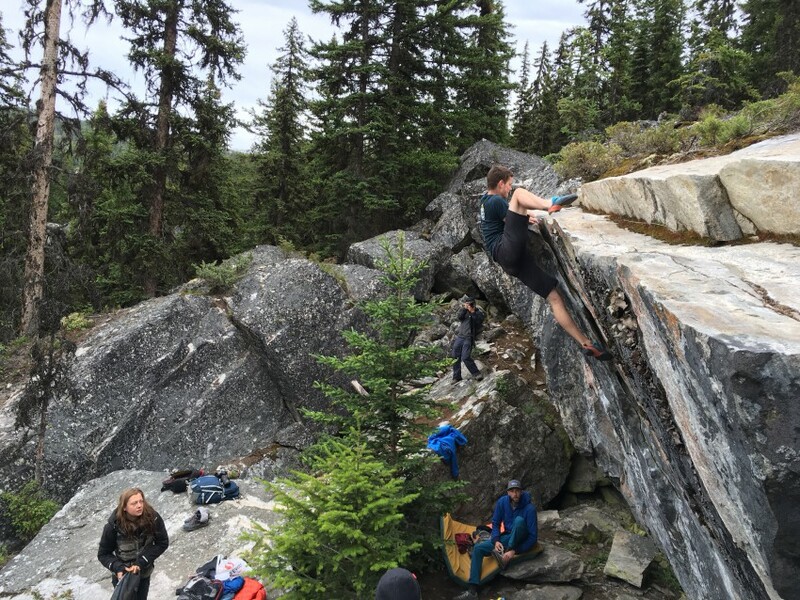 Rock the Blocs is billed as an outdoor competition (first day) that offers bouldering clinics (second day), meet and greet with sponsors, a photo contest and generally good times hanging out with friends and climbers over the weekend. They did not disappoint. Saturday, the fun started at 8am. 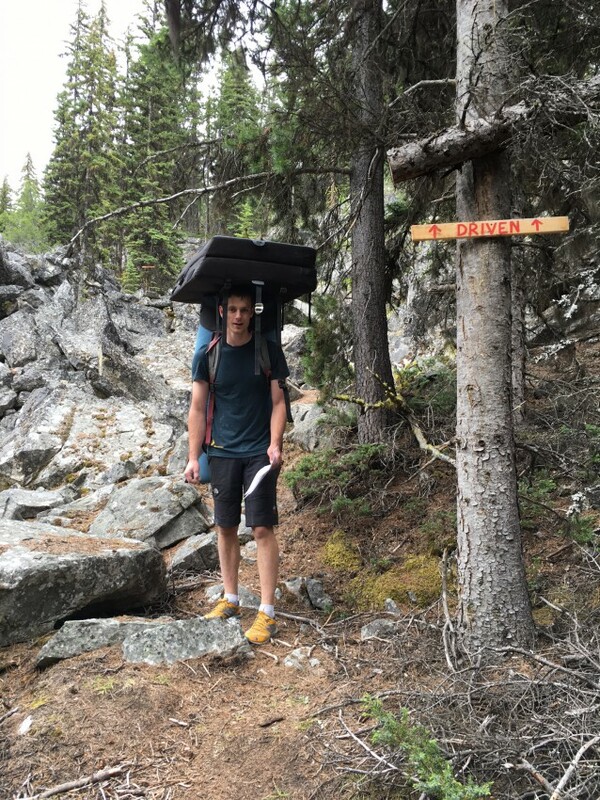 I could feel the travel,late drive on south Kelowna logging roads and the joy of sleeping in a car, but I grabbed my pad and lunch and followed a couple CCC climbers who had been in the boulder fields before. In this area, the rock is gneiss and it’s basically a huge pile of boulders on the side of a hill. There’s even a couple bigger boulders/ cliffs that have some bolted climbs on them. It’s a lot of rolling terrain on jumbles of rock, but there’s always one more boulder…I hear they have been climbing here for 20 years… and they haven’t stopped finding new climbs. 1st problem of the day. This year was a bit more challenging because of a huge chance of rain in the forecast. 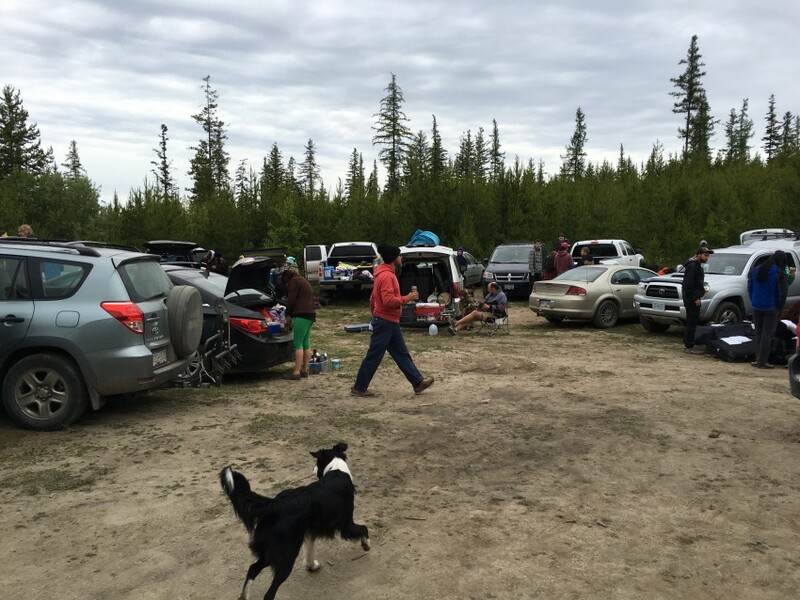 Being all outside, this could have derailed the weekend but the organizers went ahead and everyone still came and we were all able to climb Saturday morning. We got about 5 hours of climbing in and it was worth it. 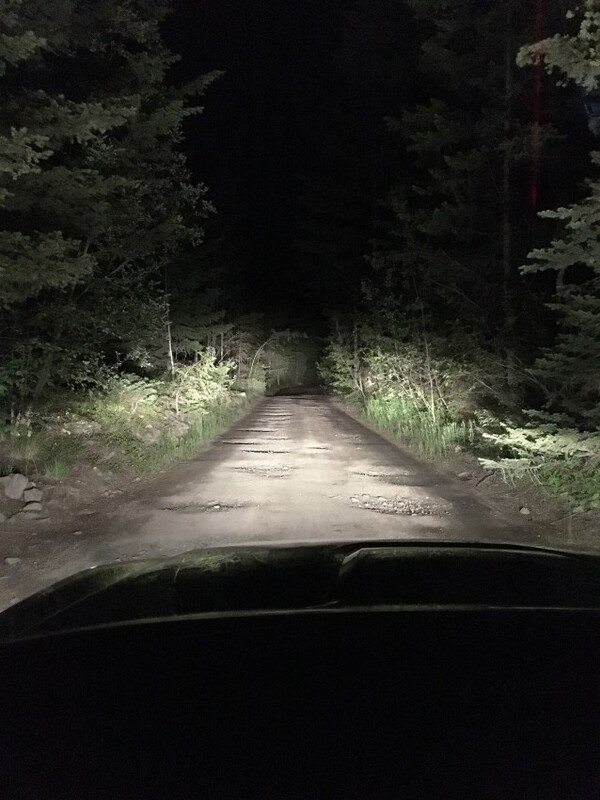 With more rock than we could ever climb in a weekend, we got going right away. We dropped the pads under some chalked climbs and were able to climb some amazing climbs as warm ups. The rock and boulders are all beautiful and full or featured holds. Lots of different styles of climbing from gently overhanging to steep roofs. You can even pick your own adventure with the sizes, since there are many options from traditional reasonably-sized boulders, all the way to monster house-sized roofs for the climbers with “more pads”. With 200 attendees this year, each boulder was never short of pads, but the Boulderfields is big enough that you can always find a quiet spot if the groups were getting too big. That being said, you usually don’t go to these festival events for solitude. You go to have fun, explore a new area, climb new problems with the benefit of spotters, friends and hopefully sends. Rock the Blocs is amazing because the local climbers all act as guides on the weekend and basically take you around and show you all of their proud new lines. It really creates an atmosphere of sharing and friendship. “Follow me”, ” Try this problem”, ” Look at this”. On and on until my fingers were shredded and my muscles weren’t getting me anywhere. Luckily it started raining after lunch time so I was able to save face and call it a day. We packed up and hiked out. About 20 minutes had us back at the parking “party” lot and ready and waiting for draw prizes. Even with the shorter climbing day it was worth it. Thank you to all those involved in organizing this event and letting us get some good climbs in. It was nice to climb and hangout with CCC friends without being at work or on the regular gym walls. 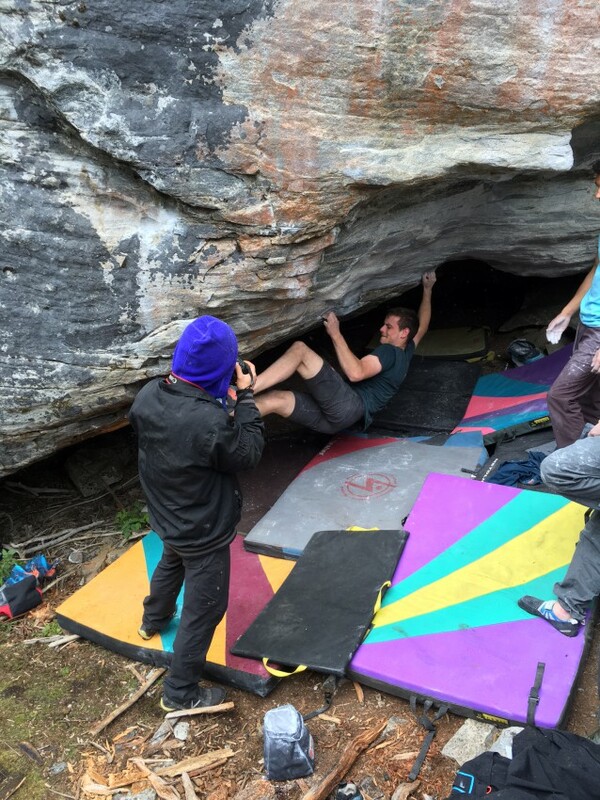 Rock the Blocs is what it’s all about. It’s why we climb. 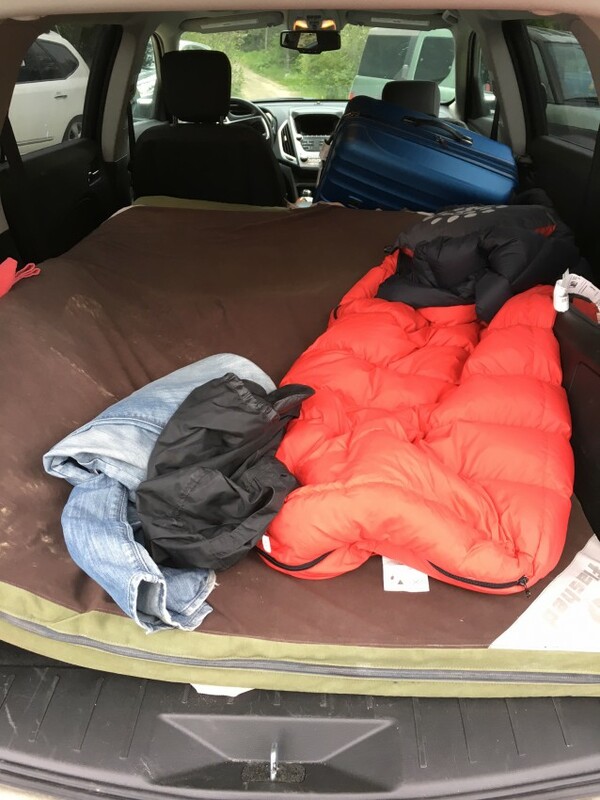 Fun sleeping in the car. p.s. For more great pics and an official event recap follow this link.